Where are America’s drones flying? If you guessed techie or art hubs like San Francisco, Los Angeles or New York, you’re wrong. The Federal Aviation Administration made its drone registration database publicly available earlier this month — and the data mined from it is pretty surprising. States with low population densities are more likely to have high rates of registered drones — which makes sense when considering that drones are easiest to fly in open, non-crowded areas. The Center for the Study of the Drone at Bard College released an analysis of the FAA’s drone registration database this week. The database includes every drone registration through Oct. 31, 2017. The most popular non-hobbyist drone is the DJI Phantom 4, followed by the Phantom 3, Mavic and Inspire. All of those drones are made by DJI. 70% of all drones registered are made by DJI. Next in line is Intel, though that could be attributed to Intel-made drones that are also flown by Intel. 6,638 Intel Shooting Star and Shooting Star 2 drones are registered in Mountain View, Calif., which is the headquarters of Intel. Intel uses the drones for aerial light shows, including a recent show to promote the Wonder Woman movie and a widely-viewed show during the Super Bowl. 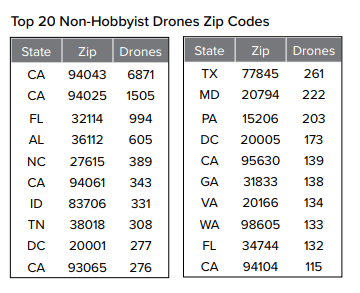 Which zip codes have the most non-hobbyist drones? 94043, which is the zip code for Mountain View Calif. takes the cake, with 6,871 drones registered. Of course, a huge majority of those are likely attributed to Intel’s Shooting Star drones. But since rankings by zip code tend to always look somewhat like a population map, Bard also broke it down per capita. It turns out, most of America’s drones are flying in rural areas, like in Idado and North Dakota. 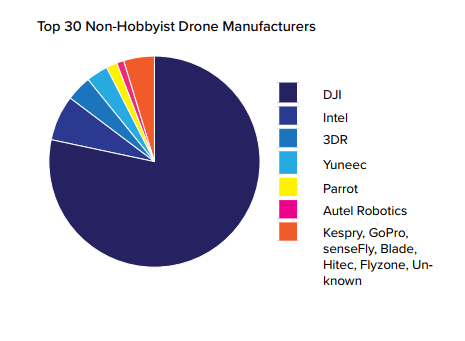 So if most of the commercial drones belong to Intel, where are the hobby pilots? Most of them, it turns out, live in Las Vegas, Nevada. In the No. 2 spot is Houston, Texas, followed by Collin County, Texas. 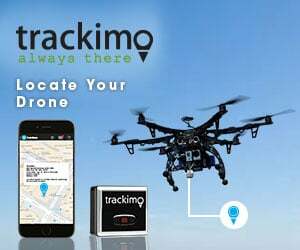 The FAA, announced the drone registration rule back in Dec. 2015, which made drone registration a requirement for every drone in U.S. skies weighing more than 250 grams. To registers, operators had to fill out a registration form on the FAA’s site and pay a $5 fee. However, a court later ruled earlier this year that drones do NOT have to be registered. However, drone registration is still optional, and as of the end of October, there are 943,535 registered drone operators. 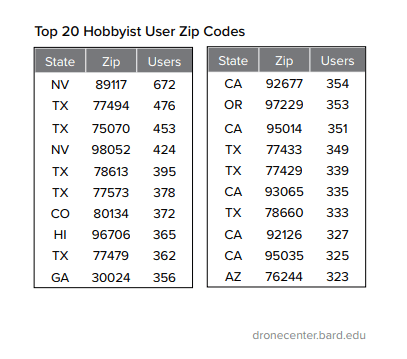 106,739 of those are registered as non-hobbyist drones, and 836,796 are registered as hobbyists. Drone registration is tied to the operator, not the drone, and if a drone operator has multiple drones, the same number applies to all of them. The FAA’s database likely far from represents the total number of drones flying. There is very little enforcement of flying a registered drone, and very few hobby drone pilots are aware that drone registration is even an option. By some estimates, 5 million drones have been sold in recent years in the U.S., according to Bard College. Read Bard College’s complete report here.